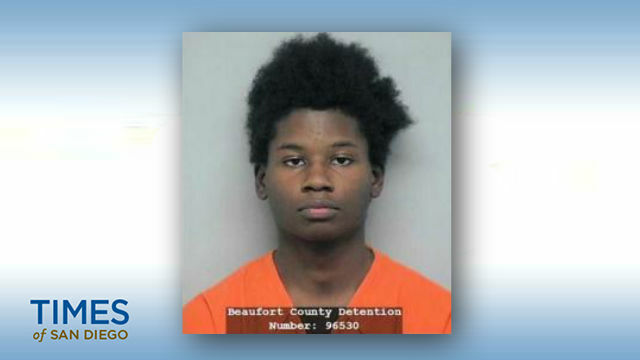 Carey Lamont Reid Jr.’s mug shot from the Beaufort County Sheriff’s Office in South Carolina. A homeless man accused of killing a 77-year-old retiree during a burglary at the victim’s Oceanside beach house pleaded not guilty Wednesday to a murder charge that could lead to the death penalty if he’s convicted. Carey Lamont Reid Jr., 21, was ordered held without bail in connection with the Aug. 14 slaying of John Roth. The defendant is charged with murder, with a special circumstance allegation of murder during a residential burglary, and “hot prowl” burglary. District Attorney Summer Stephan has yet to decide whether Reid will face life in prison without the possibility of parole or the death penalty if he’s found guilty. DNA evidence obtained from the crime scene led homicide detectives to identify Reid, a local transient, as the alleged perpetrator, Oceanside police spokesman Tom Bussey said. Officers were called to the 500 block of North Coast Highway last Sunday on a report of a person lying on the ground in a parking lot, Bussey said. Officers arrived, identified the man as Reid and took him into custody. The parking lot is located directly behind the residence where Roth was found dead, Bussey said. A back door was found open, but there were no signs of forced entry or a struggle at Roth’s home in the 500 block of North Tremont Street when he was found by his wife shortly before 7 a.m. on Aug. 14, Detective Erik Ellgard said. Roth was stabbed twice in the neck while sitting on his couch, said Deputy District Attorney Keith Watanabe. Zui Pang, 41, had last seen her husband alive about 16 hours before she returned home, Ellgard said. Missing from the residence were some of the couple’s possessions, including costume jewelry, a wooden jewelry box, an Asus laptop computer, an LG cellphone and Pang’s wedding ring. Four days later, an acquaintance of the victim found Pang’s stolen purse, photos of the couple and other personal effects dumped in an alley off North Ditmar Street, a few blocks from their home. Reid will be back in court Jan. 24 for a readiness conference and Feb. 22 for a preliminary hearing.